At the end of every month, money always seems to be a little tight and I try to make meals using what I have on hand. 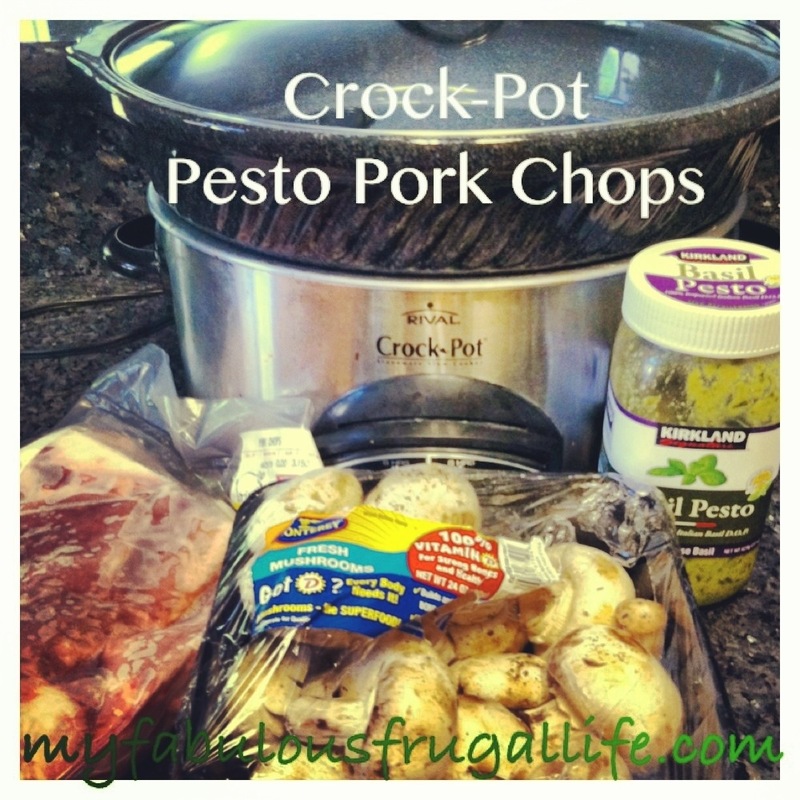 This pesto pork chop recipe was created out of necessity and with the few items I had that I thought could go together. I was a bit skeptical, but pleasantly surprised at how well this dinner turned out! Place mushrooms in the bottom of your slow cooker. Spread the pesto on both sides of each pork chop and layer on top of mushrooms. Cover and cook on high for four hours. I served this with quinoa and a salad. My husband raved about this all night and has asked me several times to make this again. It is so easy, I am going to have him make it next time! They are so good and easy to make! You should try them out!